Bermudian author Dr Mandy-Suzanne Wong’s fiction chapbook Awabi — which was the 2018 winner of the Digging Press Chapbook Series Award – has been published by Digging Press in New York City. 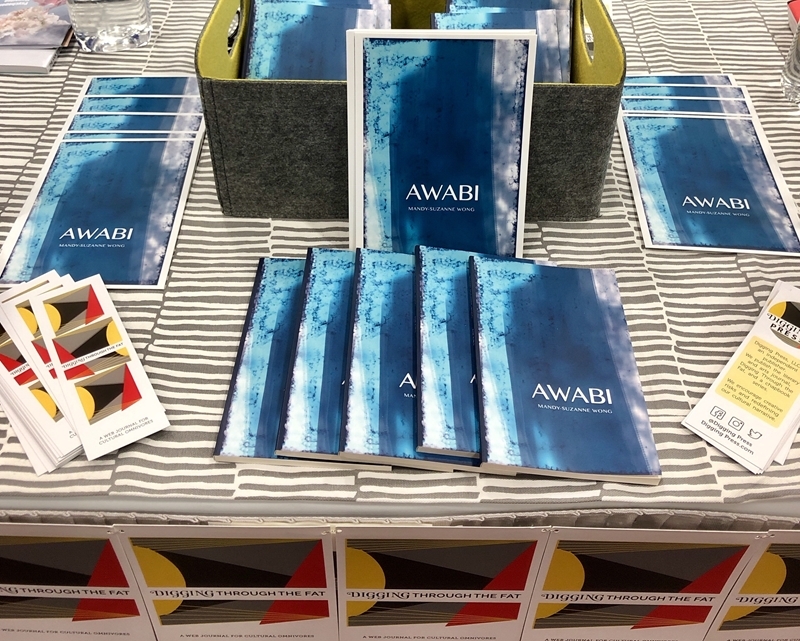 Awabi debuted in March at the 2019 convention and book fair of the Association of Writers and Writing Programs held in Portland, Oregon, and it will be featured at New York City’s May 11 Press Fest. Press Fest is “a showcase of independent literary magazines and presses as part of New York City’s PEN World Voices Festival, which is celebrating 15 years of presenting over 1,800 writers and artists from 118 countries speaking 56 languages to over 140,000 audience members” according to the event’s website. To read Awabi, visit diggingpress.com or ask our local bookstores. Dr. Wong’s next book, a novel set in Bermuda, will be released by Regal House, a traditional, independent, Raleigh-based publisher, in October 2019.